We spent the weekend celebrating my husband's birthday. He's a lot more low-key when it comes to birthdays than I am, but we still try to make a big deal out of it because the rest of us like to PAR-TAY! It worked out perfectly that we went to Knott's Berry Farm on Saturday for the the Peanuts Celebration happening weekends in February. It was a fun day of checking out all the rides and hanging with our BFFs. 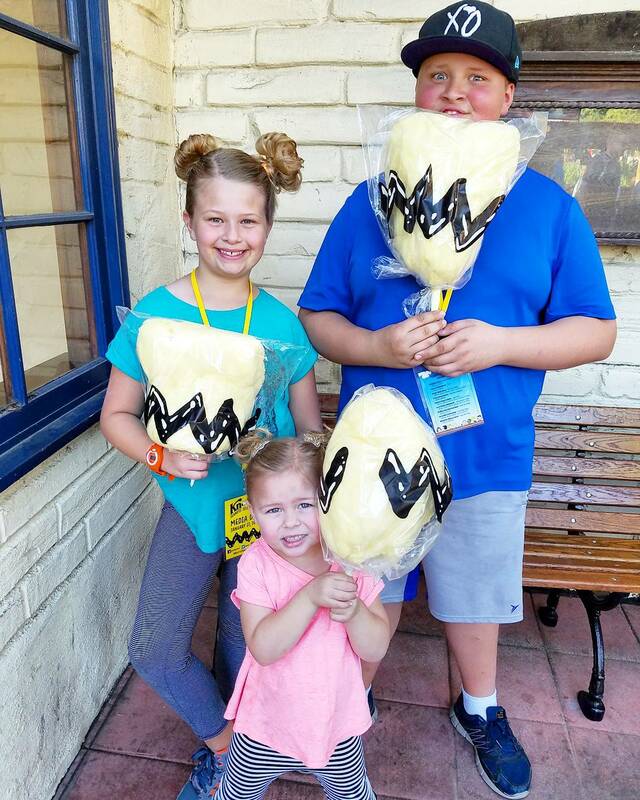 The kids were crazy for the Charlie Brown cotton candy and I loved all the new shows - especially the sketch school where we learned to draw Peanuts characters! Wow, sounds like you had a really fun weekend! Happy birthday to your hubby :) Thanks so much for hosting and giving us a space to share!